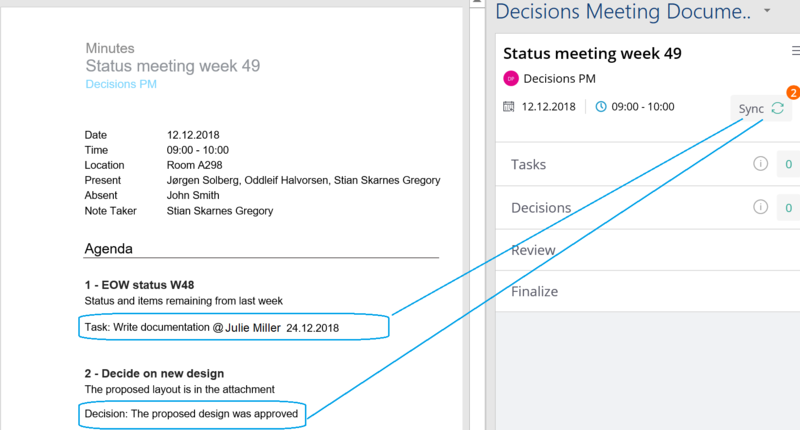 Decisions add-in for Word automatically creates a meeting minutes file in a Word document for easy note-taking and tracking. While writing, it picks up tasks and decisions, and syncs them with Microsoft Planner. Important note:Additional synonyms (words) for Task: and Decision: are supported. Scroll down towards the end of this article and look for the Synonyms section for details. Actual examples for tasks and decisions are provided at the end of this article. 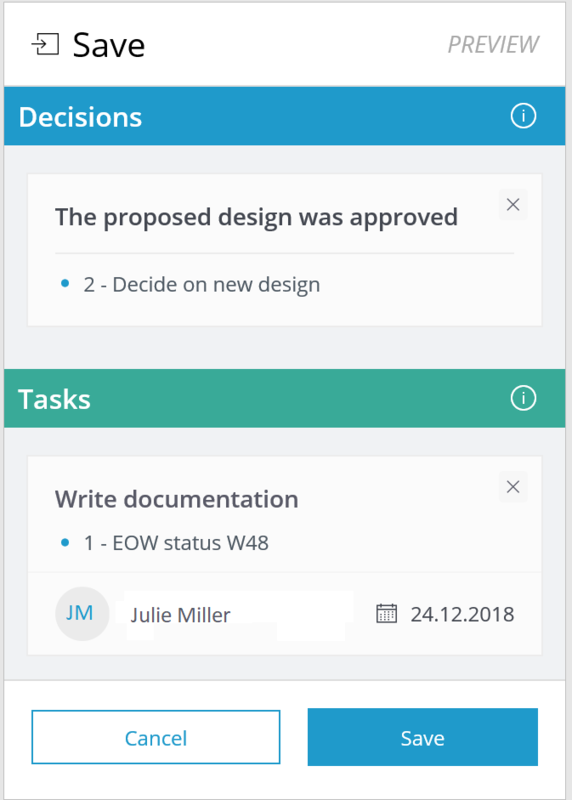 An orange circle will appear in the Decisions add-in, indicating you have one or more tasks or decisions that need to sync to Microsoft Planner. After clicking “Sync,” an overview will be presented. It indicates the tasks and decisions associated with each agenda item. Click “Save” to complete this step. Notice the orange circle; click “Sync,” then “Save” in the next step.